When searching for a suitable cleaning process and agent, the old aphorism "like dissolves like" is still a good guideline. Accordingly, water-based technologies are used to deal with mineral contamination such as emulsions, salts and polishing pastes. Another strong point of aqueous parts cleaning is the removal of residual particles such as chips, loosened burrs, and abrasion debris. For removing contamination in the form of organic films such as oils or greases, primarily HC- and CHC-based systems are used. But particularly for degreasing, there are applications which can also use aqueous cleaning processes, which are getting more and more precise. 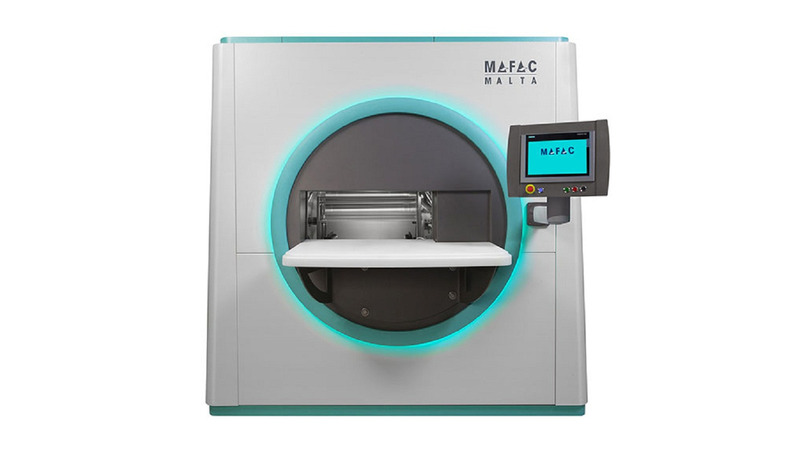 MAFAC has developed a new generation of machines for aqueous cleaning of precision components in response to the increasing demands of the downsizing trend in the industry. With its new kinematic process technology, this machine is designed for efficient, premium-quality cleaning of very small components. A compact machine that can be configured individually for customer needs provides this new method as a standard.